Available In: Black printed on eco satin cotton. Inner Cushion Included. 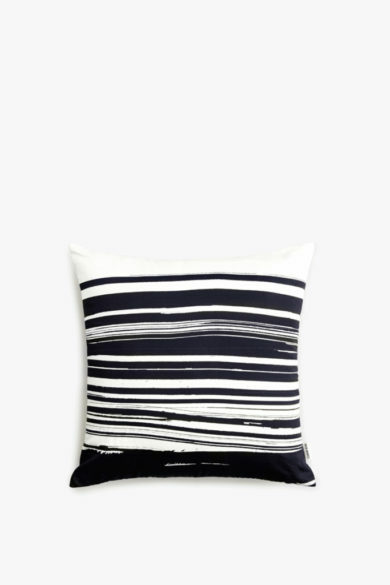 Malene Birger has brought her signature raw and intuitive approach towards her art practice into the design of the Wave & Brush cushions. The result is a range of graphically contrasting prints in vibrant satin cotton. This satin finish provides another unique texture and aesthetic to the ADDITIONAL range.